Researchers at The Ohio State University Wexner Medical Center are among the first in the world studying how a specific type of neurostimulator can improve rehabilitation for stroke patients. As part of the clinical trial, an electrical device called a vagus nerve stimulator is surgically implanted in the patient’s chest wall. The Vivistim device, which connects to the vagus nerve in the neck, is used to “rewire” circuits in the brain associated with certain motor functions. 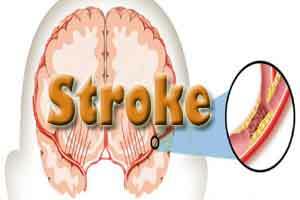 Stroke can result in the loss of brain tissue and negatively affect various bodily functions from speech to movement, depending on the location of the stroke. In an earlier pilot study, this approach known as Paired Vagus Nerve Stimulation was shown to benefit approximately 85 percent of the people who received the nerve stimulation, said Dr. Marcie Bockbrader, research physiatrist for the Neurological Institute at The Ohio State University Wexner Medical Center. Previous research indicates that vagus nerve stimulation causes the release of the brain’s own chemicals, called neurotransmitters that will help the brain form new neural connections which might improve participant’s ability to use their arm.